Some Air Force officials said that establishing a new information warfare organization looks to demonstrate the significance of electronic warfare and cyber capabilities, C4ISRNET reported Monday. 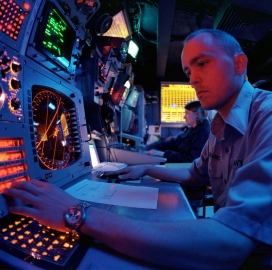 “We’ve come to discover cyber is an element of the larger information warfare and [electromagnetic spectrum] fight that we’re in,” Ted Uchida, deputy director of operations at Air Combat Command, said Thursday at an Air Force Association event. Air Combat Command announced that it will combine its 24th and 25th air forces this summer, forming the new information warfare organization. Uchida said the new group will focus on electronic warfare, influence operations, military deception, cyber information missions, psychological operations and military information support operations aimed at "influencing an adversary’s thought process."